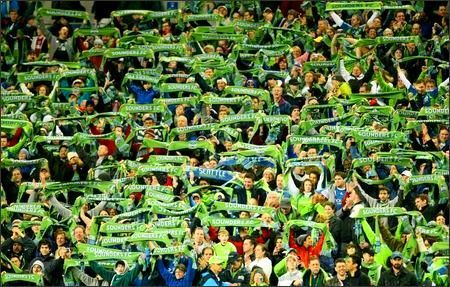 In many ways a model for the Union, the Seattle Sounders had a terrific opening campaign. They were only the second expansion team ever to make the playoffs in their inaugural season, though they were knocked out in the first round by the Houston Dynamo. They did win a trophy when they captured the US Open Cup, defeating 5 MLS teams along the way, a feat only previously accomplished by the Chicago Fire in their first season when Union coach Peter Nowak was playing for them. 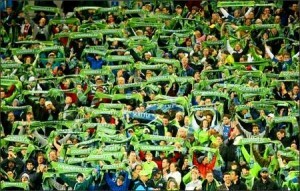 The Sounders also set new league records for home attendance, packing in over 30,000 fans regularly. 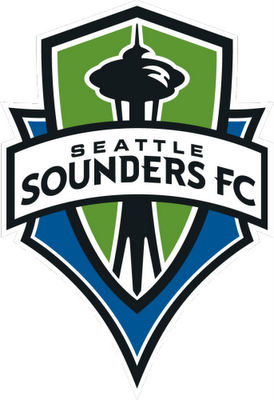 Players Brought In: The Sounders remained pretty intact after 2009. David Estrada was drafted in the first round of the SuperDraft by coach Sigi Shmid. The midfielder scored three goals and had seven assists in his senior year at UCLA. Blaise Nkufo, a Swiss international currently playing for Twente in the Dutch league, will join the team after the World Cup. Players Departed: The only major departure was Sebastian Le Toux, who was taken by the Union in the expansion draft, and who will almost certainly feature against his former side. Expect the Seattle fan favorite to receive a good ovation. What to Look For and Who to Watch: The Sounders struggled to score goals at times last year with a barren spell in the middle of the season threatening to extinguish their playoff hopes. A good number of teams gave in to the atmosphere at Qwest Stadium and just sat behind the ball waiting to counter attack, which you can figure on the Union doing at times tonight. Look for a lot of the play to come through Freddie Ljungberg: the former Swedish international captain and Arsenal man will be the maestro in the center of the midfield. His service will be geared towards finding strikers Nate Jaqua and Fredy Montero, with Montero being the more prolific of the two. Occasional US international Brad Evans looks to be the dangerous wide man. Marshalling at the back will be former US international goalkeeper Kasey Keller who, even at age 40, enjoyed a terrific year with Seattle in 2009, keeping 10 clean sheets. He’ll be joined by MLS veteran Tyrone Marshall at center back. Mike, good synopsis. Injury report shows that Jaqua might not feature tonight as he is still dealing with a lingering injury. Expect Roger Levesque to see minutes, either starting or subbing to supplement the missing target man. Tim, thanks for the heads up. I kept reading conflicting reports on Jaqua, but you are right, the latest news seems to be that he won’t make the squad for tonight.